Grow your own tomatoes and basil then simply pick and add straight to your pizza to make it extra yummy! While you're waiting - play hopping frogs. Launch onto lily pads in the pond and land on tasty dragonflies or flowers for bonus points! 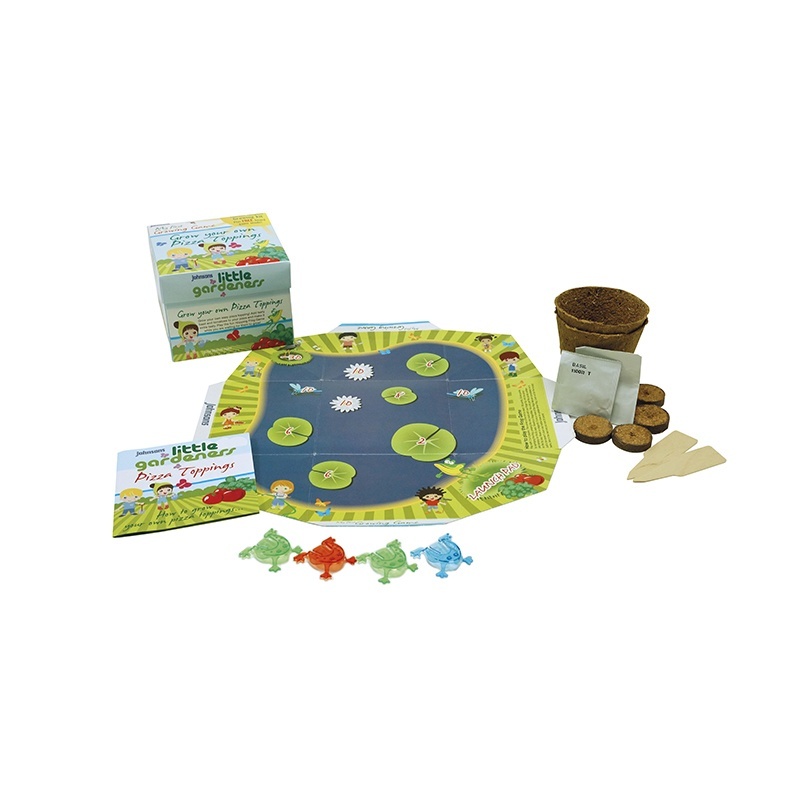 Game for 2-4 players. Kit contains seeds, 2 x pots, 2 x composts disks, instructions, game board, 4 x hopping frogs and plant labels.